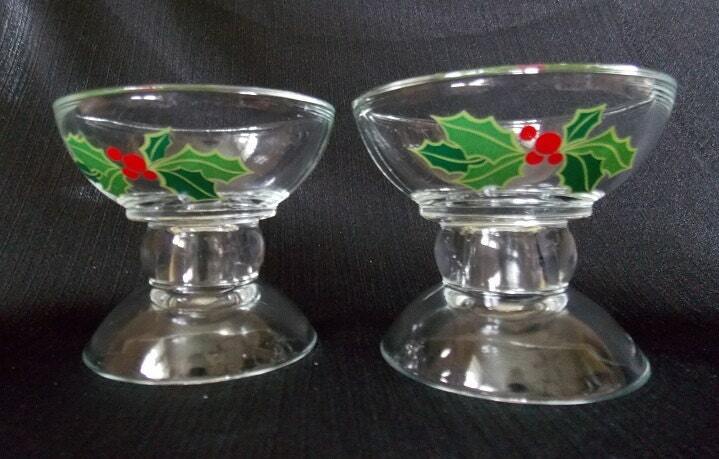 These vintage glass candle holders are perfect the mantle or dining buffet. 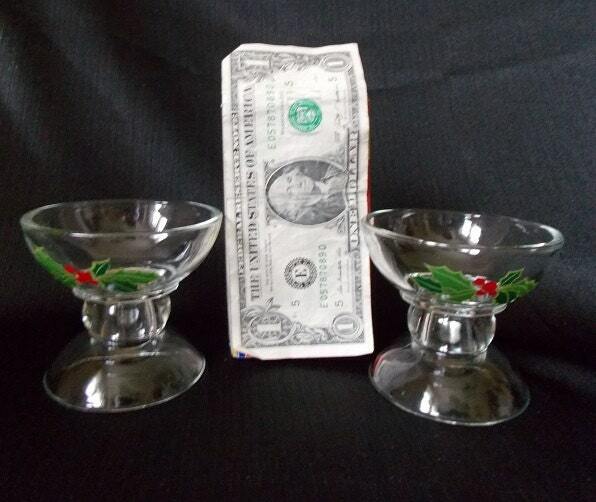 From Avon's 1981 Holiday Hostess Collection, they feature a holly berry and leaf design centered on one side of the clear glass candles holder. 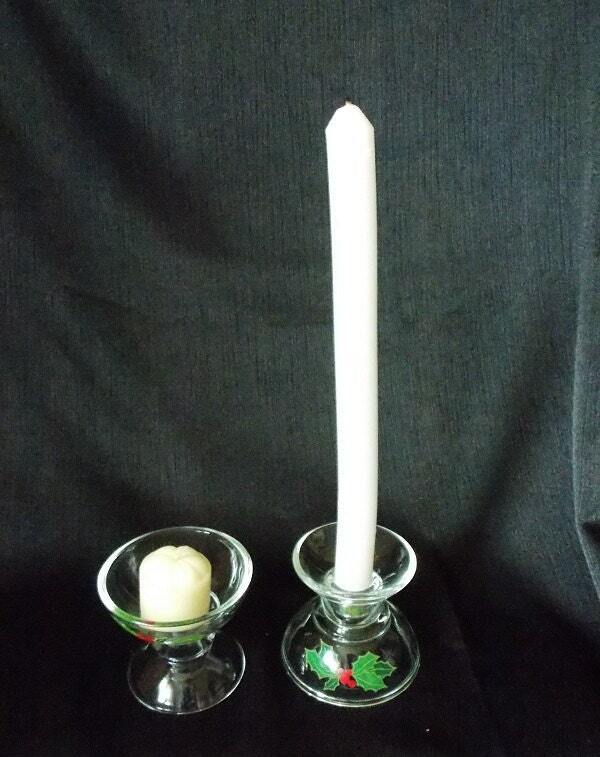 They are made for a taper candle, but if turned upside down they can hold tea light or votive candles. 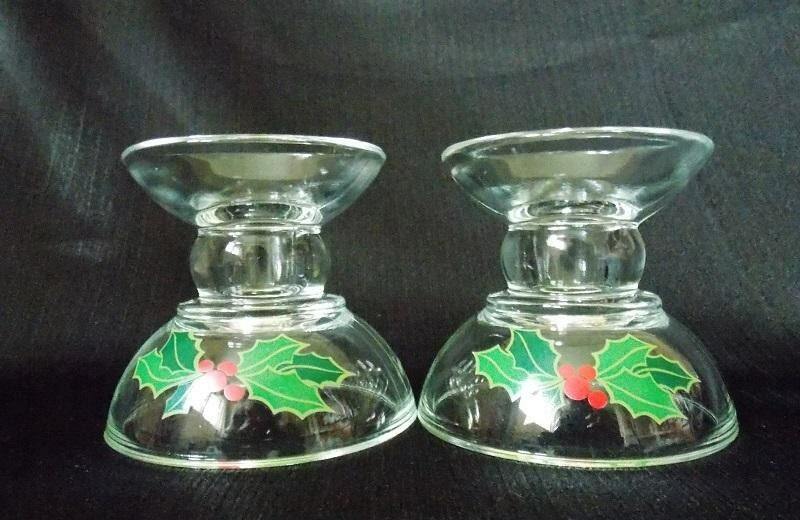 The candle holders come with the original box Avon box. 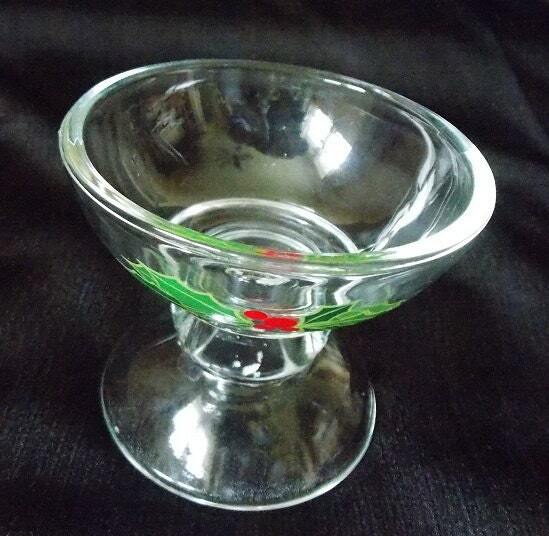 These also make a great hostess gift!